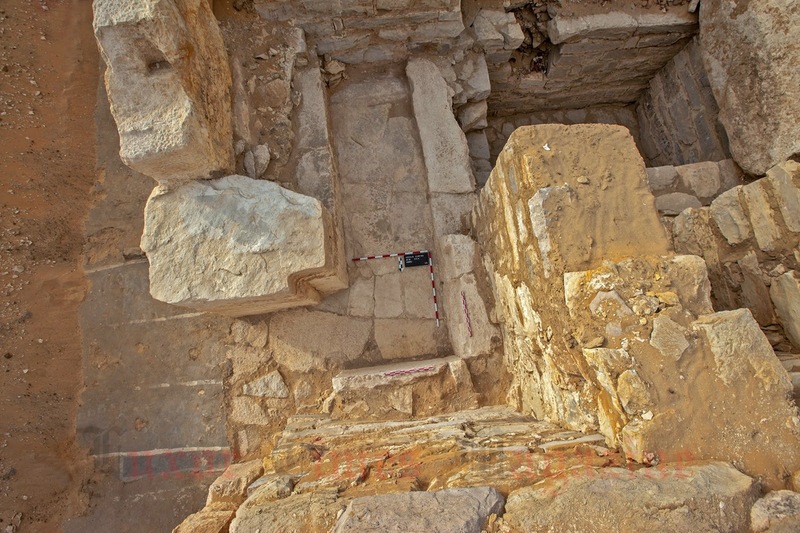 The Minister of Antiquities announced today a new discovery of an Old Kingdom tomb in Abusir for a Queen who wasn't known before called "Khentkaus III" during the excavations of the Czech Institute of Egyptology directed by Dr. Miroslav Barta. 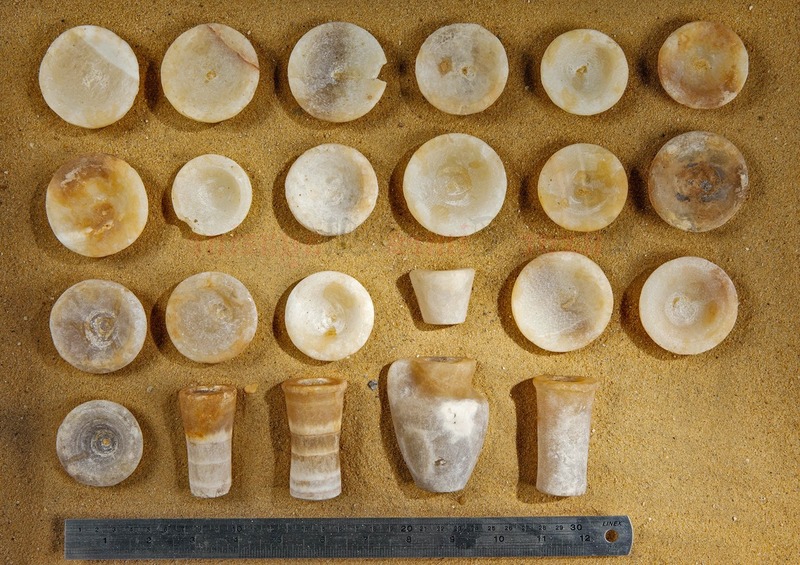 The mission unearthed 23 limestone pots as well as 4 copper tools as a part of the funerary furniture for the tomb owner. The side rooms of the discovered tomb have inscriptions mention titles of the tomb owner includes "Wife of the King" and "Mother of the King"
Dr. Miroslav Barta said "This discovery reveals an unknown part of the 5th Dynasty history which opens the door for more future studies on the family tree of this previously unknown Queen." 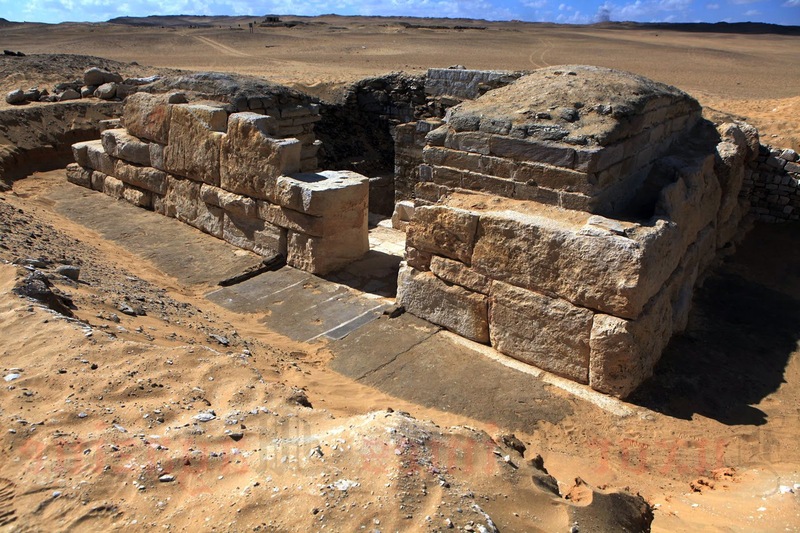 Dr. Barta added "The unearthed tomb is a part of a small cemetery to the south east of the pyramid complex of King Neferefre (Raneferef) which led the team to think that Queen Khentkaus could be the wife of Neferefre hence she was buried close to his funerary complex." Dr. Jaromir Krejci,a team member of the Czech Institute of Egyptology mission working on the site said "The title of the Mother of the King discovered in the tomb is of an historical importance." "If we can assume that the Queen was buried during the time of King Nyuserre (2445 B.C-2421 B.C) based on a seal bears his name was found on the tomb so we could say that Khentkaus III is the mother of King Menkauhore who was the successor of Nyuserre. This could also reveals more information on this King especially that we have a very few information on him."